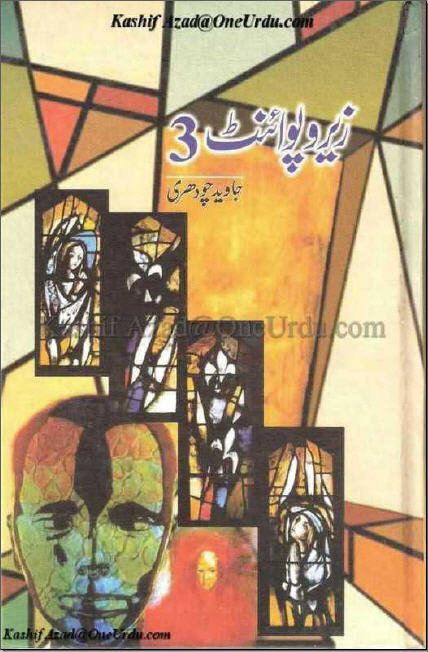 Download a scanned copy of Javed Chaudhry’s book “Zero Point 3 (Collections of Urdu Columns)“. We are thankful to our friend who has shared this great resource for all of us. soon, we will update books section http://www.dailyurdunews.com/javedchaudhry/books to make available other books too. You may subscribe your email at www.dailyurdunews.com/javedchaudhry to get an update when resource will be available. MAY ALLAH PAK GIVE EVERTHING WHAT YOU DESERVE AND DESIRE.AMEEN. Blessings of Allah on Jaweed Choudhry and Pakistan. chaudhery shaib humaray country me ek thef marta hai.to media us ko 2 hours tak coverage data hai. se chtkara na mumkin hai. ap ki army dollars ley k larti hai .dollars nai milen gey to nahi larain gey.aaka aur ghulam mein farak hota hai aur ghulam ki koi izzat nai hoti…………. Most of the comments I have read are superficial. These are only adornements. One must check and find out the authenticity of the claim of the auther in his article. Only then one is in a position to comment. Secondly the disagreement to the claim of the author should be exposed with cogent arguments. Thirdly one should forward his own suggestions either to improve the author’s contention or state one’s own strategy to tackle the problem. None of the admirers have done that. Allow me to say that I do admire the author yet I have misgivings for the way he puts up the facts in an emotional way and the draws conclusions. Life’s facts and consequent conclusio drawn are not simple and straight forward as the author does. Things are too complicated. I am available to advance some suggestions if you like. Allah app koo lambi Zindagi Daye. Muje app ka sab colom Both Pasand hai. Iss Tara Iss Soye Howe Kom ko Jagaya ja sakta Hai. javed bhai mene ap ki ye book to nahi parhi magar ap k column 4 saal sy parh raha hoon or in a saalon main siwaye chand baton k mjhe aap sy koi ikhtlaf nahi raha is lye mjhe yakeen hy ap ki ye book bhi behtreen hogi. Well done. Sometimes I feel you have written exactly what I was thinking. I am reading your coloums very regularly, and try my best to achive the lesson given in each coloum. In my opnion you are the one who can change the mind of the youth, to do some thing for the Pakistan. Salam Sir, We appreciate all your positive steps in this way that you really want a big change in this society. No doubt! Your name will be written, inshallah, in the golden words ‘as a great reformer of Pakistan’in history. May Allah! accept your true emotions. Hope this nation will give, one day, a positive response to your efforts. Though, we are lazy but not a senseless … Pakistan Zindabad! Javed Paindabad! AOA,dear javed sb,plz keep writing,,,shaid k humaray hukmaran aur awam baidaar ho jaein,,,,,,,,GOD BLESS U.
hi i like yours column. I am a big fan of ur columns and read express newspaper just bacause of ur heart touching columns. Respected sir aoa i m reading ur columns since 2006,ur suggetions for pakni leaders and nations r great,real reformer of pakn u r? After 3 months govt give me only 10 days leave and in that 10 days i collect all the xpress news copies just 4 reading ur articles,kindly tell me via email how many books of ur’s r available at bazar and their names also. May Allah give u a sound health. Javed ch. is great writer in modern age.I think he always writes colums depending on reality, truth and +ve thought. I wish u all the best Javed ch. AAP BHT ACHA COLUMN LIKHTE HO AAP APNE COLUMN SE SOI HUI AWAM KO JAGANA CHAHTE HO ALLAH TALAH AAP KO KAMYAB KAREY APNE MAQSAD MIEN OR KHUCH AWAM KO BI TUFEEQ DE K WO KHUCH AAP KO RESPONSE DE AMEEN. A.O.A……sir g ap mere pehle most fvt. writer hen…. ap k colums m boht zyada imprtnt discusin hoti he,. ALLAH ap ka hami o nasir ho…. !